JFC was set up in 2002 by the British trade union movement to support Colombian civil society in its struggle for human rights, labour rights, peace and social justice. All JFC work is carried out in response to the demands of our partners in Colombia: the political activists, trade unionists, peasant organisations, human rights defenders, and other civil society groups who are on the front line in demanding peace and social justice. JFC promotes links of solidarity between British and Irish trade unions and organisations in Colombia and gives a political voice internationally to Colombian civil society through our work in the British, Irish and EU Parliaments. JFC was directly involved in supporting the Havana Peace Process between the Colombian government and the FARC-EP. JFC has a small team of staff based in London who manage the day-to-day activities. 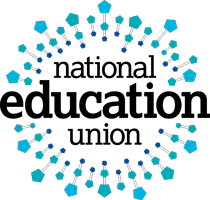 Our National Committee, which decides what campaigns and projects we will prioritise, is made up of prominent trade union leaders and labour lawyers. JFC also works closely with Parliamentary Friends of Colombia, a multi-party group of over sixty MPs. JFC receives the majority of its funding from the British trade union movement; trade unions affiliate to JFC at a national, regional and branch level. We also receive important funding from specialist labour law firms, and individual members and donations. Mariela has been Director of Justice for Colombia since 2011 and was awarded the Latin American community award for Human Rights Campaigner of the Year in 2013. In 2016 she was appointed as an official advisor to the Havana Peace Talks. Sarah has over a decade’s experience working in Westminster. 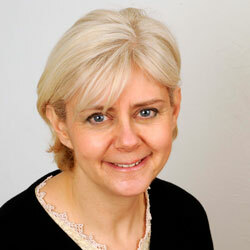 She managed the Trade Union Group of MPs between 1997 and 2006 and worked as Parliamentary Liaison for Unite. In 2014 she was elected as a Councillor in the London Borough of Greenwich. 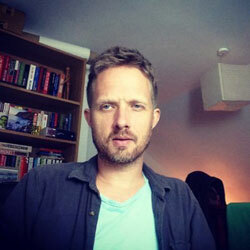 Nick spent several years working in Latin America as a freelance journalist and translator. He has written on Colombian politics and the peace process for several media outlets. 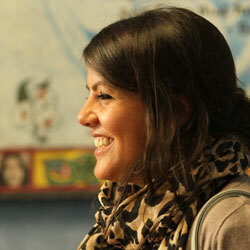 Hasan has worked on a variety of different projects for the advancement of peace and social justice in Colombia. He is an ex-member of the International Peace Observatory (IPO), spending several years in Colombia providing physical accompaniment to grass roots Colombian organisations. Justice for Colombia is backed by numerous trade unions and specialist labour law firms who provide the financial, logistical and political support necessary to carry out our work. A special mention goes to ASLEF who have provided JFC with an office since we were founded! Without ASLEF, our work would not be possible. The Justice for Colombia Governing Committee is formed of trade union leaders from Ireland and Britain and meets regularly throughout the year. 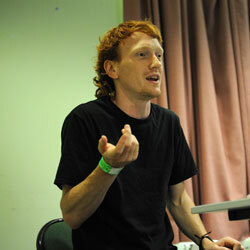 The Committee is responsible for overseeing all of JFC’s work and deciding which campaigns and projects to prioritise. The fundamental causes of the Colombian armed conflict have remained present since its initiation more than 50 years ago. In spite of its position as one of the wealthiest countries in the world in terms of natural resources, Colombia is also one of the world’s most unequal countries. This social inequality has been accompanied throughout Colombia’s history by a concentration of political power maintained through the use of targeted political violence. The armed conflict was just the most visible manifestation of a deep rooted social and political conflict. Most of the political violence carried out in Colombia is targeted against trade unionists or members of political and civil society organisations calling for human rights and social justice. Most of this violence is carried out by armed groups with a right-wing ideology that are broadly referred to as paramilitaries. From their creation to the current day, and to differing degrees, state institutions have both directly and indirectly supported the activities of the paramilitaries. Although there have also been numerous people working within state structures to expose and eradicate this collaboration, the close relationship between the state and political violence has been both systematic and sustained. Colombia’s recent history has been dominated by a civil war in which a number of different guerrilla groups have waged war against the state. The two longest running guerrilla groups, the FARC and the ELN, were both formed in the 1960s in response to a lack of democratic opportunities to halt political violence and advance issues of social justice. This structural violence which left large numbers of the Colombian population marginalised both politically and socially created the conditions which led to the formation and long-term survival of the guerrilla organisations. A military victory would have been neither possible for the guerrillas nor the Colombian State. A continuation of the armed conflict would have further entrenched the humanitarian crisis suffered by much of the Colombian population. The only route to a potential peace that reaches the entire Colombian population is through a negotiated solution which recognises the political and social causes of the civil war.